Win Tickets to WITS Gala in NYC! We’re dancin’ in our seats, anxious to unveil this fabulous giveaway! Red Jacket Orchards teamed up with Wellness in the Schools (WITS) to give away 4 tickets to an incredible event: the WITS Gala on April 24th, at 7:00 PM. This event features tastings from over 30 of NYC’s top restaurants, chefs, and beverage providers; live entertainment; and auction. See more details about the event here. 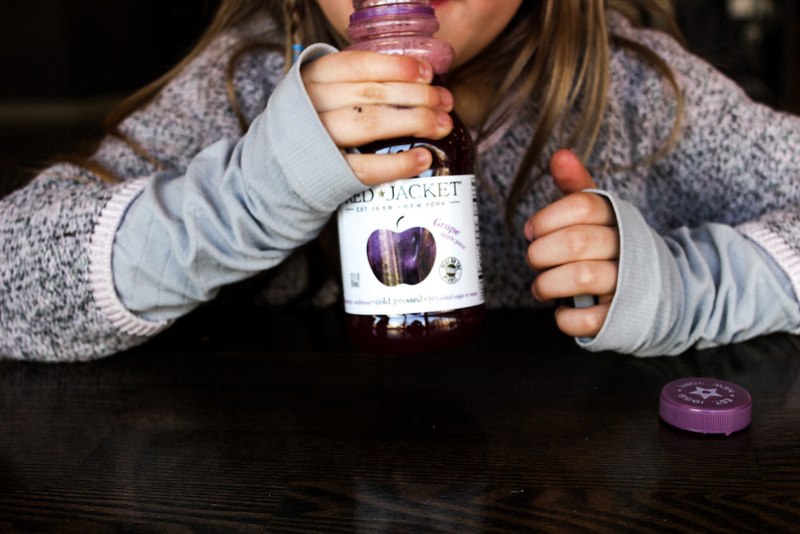 Red Jacket will pick 2 winners, who each receive 1 case of Red Jacket Orchards Juice and two tickets, valued at $600.00, to attend this incredible event as Red Jacket Orchards Special Guests. You’ll have 1 week to enter the giveaway. Red Jacket will pick their favorite answers on Tuesday, 4/18, and contact the winners via DM on Twitter by Wednesday, 4/19. We’re proud to support Wellness in the Schools (WITS), a national non-profit that inspires healthy eating and fitness for kids in public schools – a noble cause without a doubt. Through partnerships, they aim to drive systemic, long-term change in school cafeterias and culture, ultimately fighting the childhood obesity epidemic. Contest open to residents of the continental US. (Though, you’ll likely want to live in NYC since that’s where the event is – airfare, hotel accommodations, etc. are not provided by RJO). Limit one entry per person. This giveaway is not sponsored, endorsed, or administered by, or associated with Twitter. No purchase necessary. Contest begins April 11, 2017. Winners will be picked on April 19, 2017 and notified by April 19, 2017. Winners will have 24 hours to accept prize or prize will be forfeited to runner up. Make room for ‘shroom! Shake Shack Culinary Director Mark Rosati has teamed up with celebrated New York chef Bill Telepan to create the Wellness in the Schools Mushroom Burger, available at the Upper West Side Shake Shack (366 Columbus Avenue, NYC) for one day only on Saturday, April 15th, while supplies last. The Wellness in the Schools Mushroom Burger ($6.99) is a flat-top griddled mushroom burger topped with swiss cheese, pickled maitake aioli and crispy shallots. 100% of proceeds from the limited-edition burger will benefit Wellness in the Schools, a non-profit that inspires healthy eating and fitness for kids in public schools. Chef Bill Telepan is one of New York’s leaders in sourcing quality ingredients from small farms and local purveyors. He brings to Oceana his commitment to using the finest and freshest ingredients, combined with his classic training and contemporary influences. Telepan was the chef and owner of the critically-acclaimed, Michelin-starred Telepan Restaurant on Manhattan’s Upper West Side, and before then worked at Le Cirque, Le Bernardin, Ansonia, and Judson Grill. He also worked under the legendary Chef Alain Chapel in Lyons after graduating from the Culinary Institute of America. Outside of work, Telepan is the Executive Chef of Wellness in the Schools, a non-profit group committed to enriching lunch and recess programs for children in public schools. He lives in Manhattan with his wife and daughter. Wellness in the Schools (WITS) inspires healthy eating, environmental awareness and fitness as a way of life for kids in public schools. Through meaningful public/private partnerships with school leadership, teachers, chefs, coaches, parents and kids, WITS develops and implements programs that provide healthy foods, healthy environments and opportunities for regular play to help kids learn and grow. The WITS curriculum includes “Cook for Kids”, “Green for Kids”, and “Coach for Kids” as hands-on food, environmental, and fitness programs engineered to transform healthy living into an easy-to-replicate lifestyle.